When your dog faces canine osteosarcoma treatment, you want to learn as much as possible about all the options. While the diagnosis may be frightening, treatment options are available to help your pet fight the disease and manage pain. The right treatment plan can improve your dog's quality of life. Canine osteosarcoma is a condition that causes malignant tumors in the bones. Osteosarcoma is the most common type of canine bone cancer. Appendicular osteosarcoma, which affects the limbs, accounts for 75 to 85 percent of all cases. Yet the tumors can form in any bone. Axial osteosarcoma is the term that refers to osteosarcoma in any bone other than the limbs. The condition can occur in a dog at any stage of his life, but it usually strikes during the senior years. Large breed dogs, especially unneutered males, are more prone to osteosarcoma than other size breeds and tend to get the disease at younger ages. The large breeds often get appendicular osteosarcoma. Appendicular osteosarcoma generally spreads faster than most forms of axial osteosarcoma and produces more obvious early symptoms, such as limping. Axial osteosarcoma typically affects the jaws or ribs and can be hard to diagnosis before the disease progresses. Axial osteosarcoma in the ribs spreads faster than other forms of the disease. Osteosarcoma tumors form inside the bone and can grow outward, destroying the bone causing pain and lameness. Affected bones are also more brittle than healthy bones and break easily. Early treatment provides the best chance to preserve bone health and prevent the spread of cancer. Canine osteosarcoma treatment involves pain management, removal of bone affected with malignant tumors and preventing the spread of cancer. Treatment options may include surgery, radiotherapy, chemotherapy and pain medication. Since osteosarcoma is a painful condition, pain management is vital to your dog's quality of life. If possible, the bones affected by the disease should be surgically removed. Veterinarians often recommend amputation of an affected limb for appendicular osteosarcoma to resolve pain and prevent the spread of cancer. Amputation is usually more effective at pain relief associated with osteosarcoma and preventing the spread of cancer than limb-saving techniques. Even though some dog owners are reluctant to agree to amputation, it can significantly improve an affected dog's quality of life. Despite the challenges, dogs can also remain mobile and continue to play and run despite the loss of a limb. Veterinary techniques to save an affected limb are also possible if the disease has not progressed to include 50 percent of the bone and neighboring muscles. Tumorous bone can be surgically removed and replaced. The bone will then be replaced either by a bone graft from a bone bank or by re-growing the bone through a bone transport osteogenesis technique. Limb-sparing surgery works best for tumors in the distal radius or forearm but may not work well for tumors in the hind leg or in the humerus area. Possible limb-sparing surgery complications include bone implant failure, bone infections, fractures and tumor reoccurrence. If the tumor reoccurs, there is a risk that the cancer may spread. Surgery can also remove tumorous bone in cases of axial osteosarcoma. Since axial osteosarcoma tumors generally grow slowly, sometimes surgery is all that is necessary to control the disease. According to Mar Vista Animal Medical Center, surgical removal of affected jaw bones prolonged the life of 71 percent of affected dogs without the need for chemotherapy. Dose one and two are administered one week apart. Dose two and three are applied two weeks apart. The pain relief generally lasts for about four months. If pain returns, more treatments may be applied. Radiotherapy does not work for all case of osteosarcoma. Some dogs still have a significant amount of pain after radiation treatments. Carboplatin: Carboplatin is administered every three to four weeks for four treatments. The drug is safe for dogs with pre-existing kidney disease. Cisplatin: There are three treatments. Each one is administered every three to four weeks. Cisplatin is not recommended for dogs with pre-existing kidney disease. Doxorubicin: Doxorubicin treatments are given every two weeks for a total of five treatments. This drug should not be given to dogs with heart problems. Doxorubicin and cisplatin combination treatment: The combination treatments are administered every three weeks for four treatments. Chemotherapy is not as physically draining on dogs as it can be for people undergoing similar treatment. Dogs experience nausea, exhaustion and loss of appetite from chemotherapy. However, they do not lose their fur. They also bounce back faster from chemotherapy than most people. Dogs may experience nausea and lethargy for only one or two days after a chemotherapy treatment. By day three, they usually do not experience side effects anymore and have a normal energy level. Do not let the diagnosis of canine osteosarcoma discourage you. 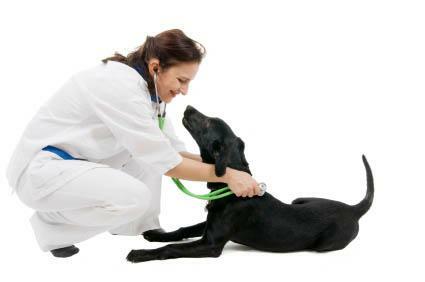 Many dogs respond well to current treatment options. Talk to your veterinarian about the best canine osteosarcoma treatment for your pet. Together, you can come up with a treatment plan that best meets your dog's needs.